One of the best features of Android is the ability to customize fundamental visual elements of the operating system. One popular component that is often changed is the launcher and the most popular replacement app is Nova Launcher. However, you can take it one step further and download Nova Launcher Prime to unlock even more features. A launcher is the home screen you see when you first unlock your Android device. The appearance can and will differ depending on your device or the app you’re using. If you’re using a Samsung device, your stock launcher will be TouchWiz or Samsung Experience as it has been rebranded; or, if you’re using a Pixel device, you’ll have the Pixel launcher. All launchers offer unique features and experiences from icon badges to long-press contextual menus. Don’t Miss: Is your Samsung Galaxy S9+ dropping calls? You’re not alone! If you’ve searched the Google Play Store for a replacement launcher then chances are you’ve come across Nova Launcher. It is one of the most downloaded launchers on Android. 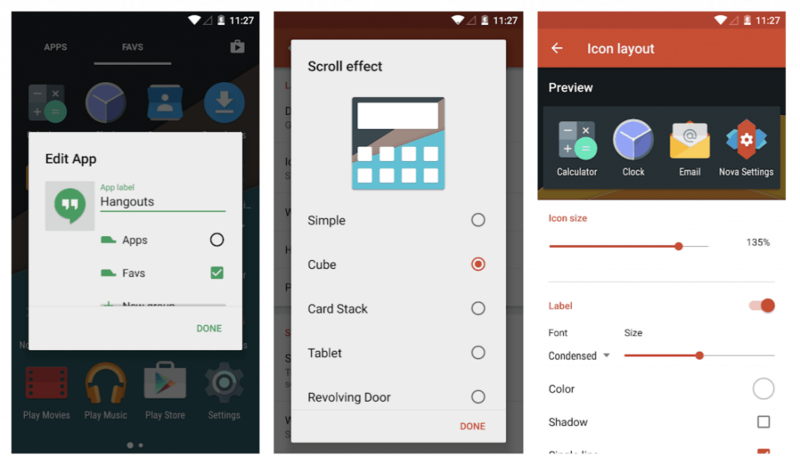 Nova Launcher offers some fantastic and unique features that can completely transform your device from implementing third-party icon packs to customizable app drawers. While the feature-set is extensive, not many people are aware that Nova Launcher offers a paid add-on that unlocks even more features, and it’s certainly worth the money. Typically you will find Nova Launcher described as a method of obtaining a near AOSP experience on an heavily skinned device, and certainly from my experience this is the first app installed on any new device. Nova Launcher Prime is only $4.99 as a one-time purchase and acts as a license to unlock additional functionality. It’s easy to download Nova Launcher Prime by clicking this link and purchasing it in the Google Play Store like any other app. It will download and of course won’t actually do anything, but you’ll notice a the once greyed out options in the Nova settings are now accessible. While the features that Nova Launcher Prime unlocks aren’t essential, they certainly compliment the experience and take the functionality to the next level. My personal favorite, and is worth the fee alone, is the ability to hide apps and arrange them into folders directly in the app drawer to help keep things organized. So what are you waiting for? If you’re looking for a replacement Android launcher or have been using Nova Launcher for a long time, then go ahead and download Nova Launcher Prime for an even better Android experience.